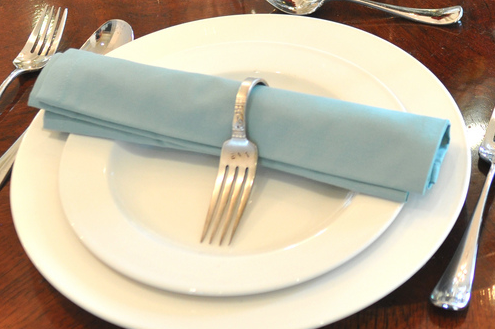 Silverware is so much more than simply the source of your next bite. After all, if you tap a knife on a glass of champagne, people will start kissing, or if you rudely bang a fork on the table, someone will most likely bring over some food. Fair warning: Only real silver utensils will be malleable enough to work with. Trying to hammer sterling silver will only leave your bones rattling and ears ringing! Flatten your silver spoons or forks with a ball peen hammer, heat the utensil in boiling water, then bend it around a curved object. So long as the silver is thin enough, you can then drill the silver to a small plank (or use glue instead). The result? 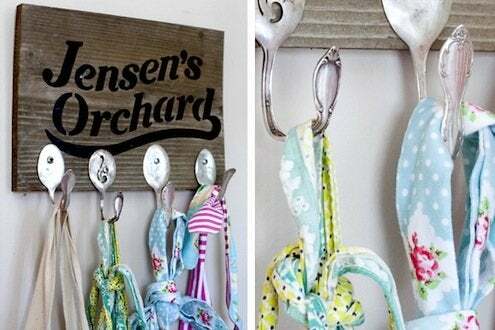 A charming set of wall hooks! This great mirror from Flamingo Toes is so much easier to make than it looks! 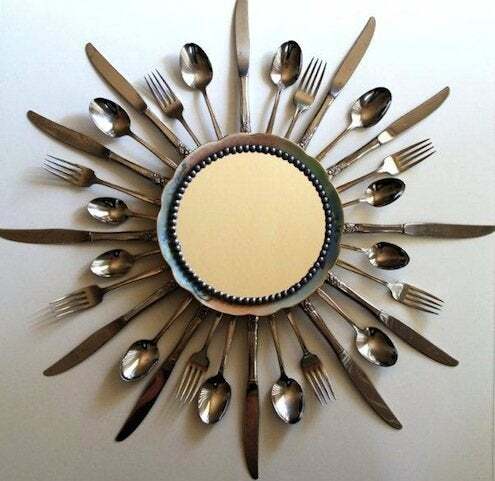 All you need is some extra silverware, a plate, a mirror and some beads—and presto, a DIY silverware mirror! 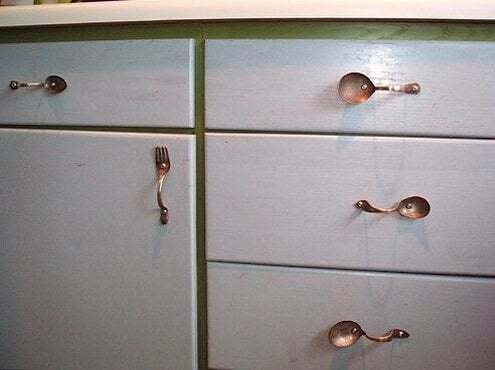 What better place than the kitchen to repurpose silverware for an unexpected functional purpose? Swap out your traditional cabinet drawer pulls in favor of vintage utensils. Heat, bend, and drill! 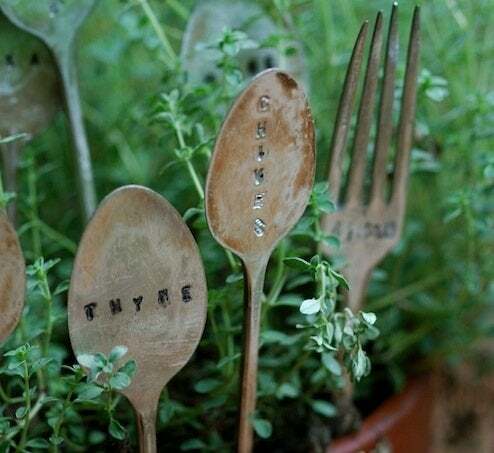 Work a little charm into your garden with these great garden markers from MossyMossy. Hammer your silver utensil flat, then stamp it with whatever label you like! From Brooklyn Limestone, not only do these forks-turned-napkin rings look like they were meant to be, but they’re also astonishingly easy to make! Just heat and bend.